HSU does not require nor sell insurance and the Student Health Center does not bill insurance. Basic office visits are free. Augmented services/supplies at our facility are charged to your student account. It is important, however, for students to have insurance coverage for emergency and specialty care services. Paying the HSU Health Services fee when you pay your tuition is NOT a substitute for signing up for insurance. Many CSU students and their families may be eligible for financial assistance in purchasing health insurance. In California, the exchange for health insurance is called Covered California, an online marketplace for affordable health insurance. Individuals and families may qualify for financial assistance in paying the costs of health insurance coverage. More information about the Affordable Care Act. Students can Apply, year round, for Medi-Cal coverage in the Oh SNAP Food Pantry. For more information about that process. If you have insurance, services such as immunizations, physical therapy, lab work and x-rays, may be provided at no cost by your Primary Care Provider. Whenever possible, the health center recommends you see your Primary Care Provider to utilize your insurance benefits. Medi-Cal services are county-specific and switching counties can take up to 30 days. Consider switching counties before you move to Humboldt. Student Health Center doctors and nurse practitioners cannot be listed as your "Primary Care Provider." The Student Health Center provides Family PACT reproductive health services. This state program provides confidential services for contraception, sexually transmitted infections, well-woman exams, urinary tract infections, some labs and immunizations. All Family PACT services are available at no cost to you while you are enrolled. Eligible students may sign up at the Student Health Center. Note: if you are signed up for the Affordable Care Act, you are NOT eligible for Family PACT. Already a Family PACT member? 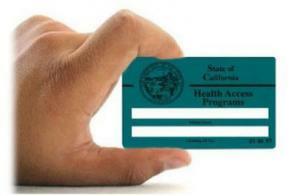 Check your Health Access Program (HAP) card's expiration date. Annual re-enrollment is required to keep your program benefits. For more information, contact the Student Health Center (826-3146). Please review the eligibility screening. If you feel you qualify, please fill out the client eligibility certificate and bring it with you to the Health Center. The receptionist will validate if you're eligible and enroll you in the program, at which time we will issue you the Family Pact Health Identification Card. NPR: "You Ask, We Answer: More Of Your Questions About The Affordable Care Act"